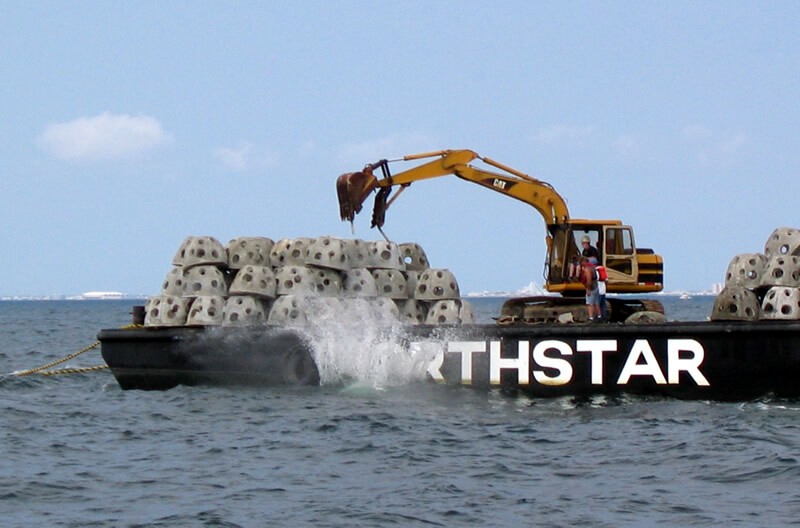 During the summer of 2007 a total of 500 prefabricated reef ball units were deployed on the Ocean City (OC) and the Wildwood (WW) reefs as part of the NJ DEP Division of Fish and Wildlife's Artificial Reef Program. The goal of the Artificial Reef Program is to provide habitat for structure dependent fishes, create fishing grounds for fishermen and create attractions for divers. The designed habitats, similar to small igloos in style, are constructed at the Southern State Correctional Facility, located in Cumberland County. Transportation from the prison to the reef sites was provided by North Star Sea Tow. Fabrication and transportation of the habitats to the reefs are funded through Federal Aid to Sportfish Restoration, which are acquired through a federal excise tax on sporting equipment, as well as donations from private individuals and fishing clubs. 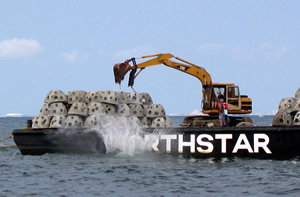 Three locations on the OC reef and four locations on the WW reef were chosen for the reef ball deployments. The reef balls are dispersed around each location making them ideal spots for drift fishing. The Southern State Correctional Facility has begun building reef balls for deployment during 2008 with a total of 500 reef balls targeted for the summer - approximately 140 have already been made. This year the reef sites selected to receive the reef balls are Great Egg and Little Egg. When half of the allotment has been fabricated they will begin their journey out to sea.